Personas can help you understand your church community on a deep, personal level. If you know how to communicate to your community, you can build content and messages that meet people where they are. 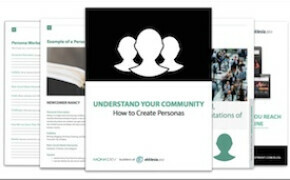 Learn how in our latest eBook &ldquo;Understand Your Community - How to Build Personas. Personas can help you understand your church community on a deep, personal level. If you know how to communicate to your community, you can build content and messages that meet people where they are. The persona worksheet provided in this free resource will let you easily organize your research to create your very own personas. 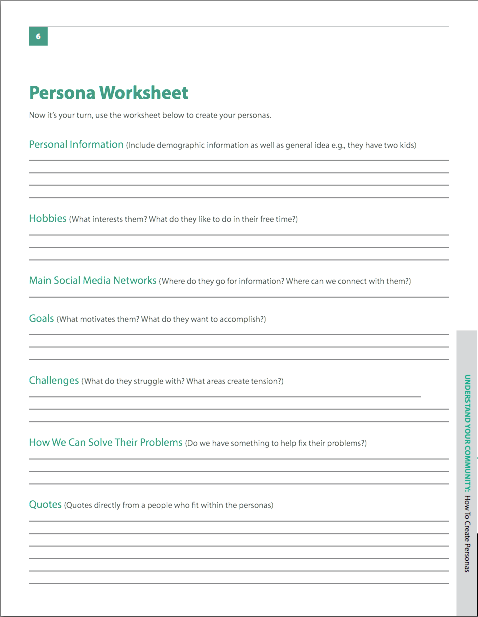 With this worksheet you can create beautiful, well-formatted personas that you can share with your team.